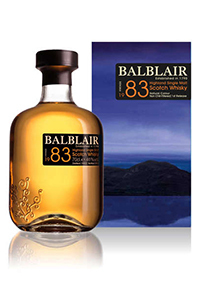 November 15, 2013 – Inver House is adding three new vintages of Balblair Single Malt Scotch Whisky to its lineup globally. The 1983 (shown at right), 1990, and 2003 vintages are all bottled at 46% ABV, and will be available starting in December in select European and Asian markets. The distillery releases all of its official bottlings as vintages instead of with age statements, and will be expanding availability of its 1969 vintage. After releasing it originally in the United States in late 2012, it will receive global distribution starting in December.